Tag Archive | "Ice Cream Social"
Purple Heart Michigan built this ramp for William Gregones on Saturday, July 7. Courtesy photo. 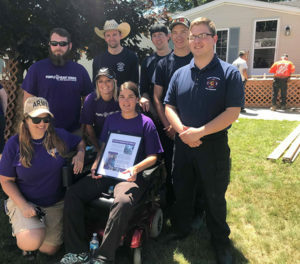 Solon Fire and members of Purple Heart Homes. Courtesy photo. 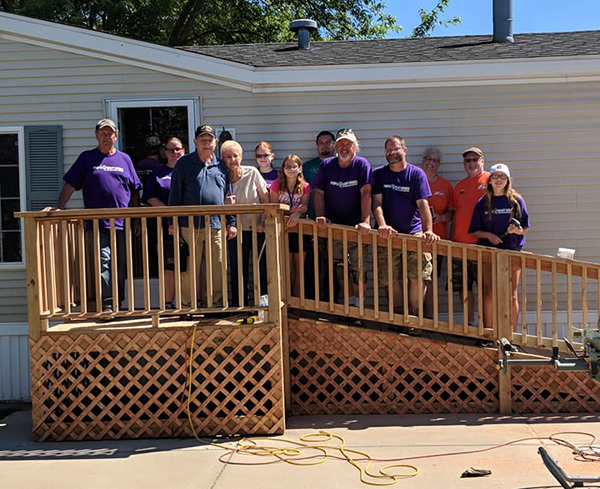 Purple Heart Homes West Michigan Chapter and Team Depot made life easier for some of our veterans over the weekend. On Saturday, July 7, the group met at the Cedarfield Community on 17 Mile Road, next to Meijer, to build their first Dale Beatty Memorial Ramp for U.S. Navy Vietnam veteran William Gregones. The also assisted three World War II veterans with cleaning up around their homes by trimming bushes, mowing the grass, cleaning out and raking flower beds, and power washing their homes. According to spokesman Doug Pickel, they built the ramp to make it easier for Gregones to get in and out of his home. “That’s what Purple Heart Homes is all about, removing the barriers in their home to improve their quality of life,” explained Pickel. While planning to build the ramp, he discovered through discussions with community manager Marilyn Doane that there were also three World War II veterans in the park: Tom Sharpe, Clarence Carlon, and Louis Milewski. “So I talked with Rolling Thunder Chapter 4 of Muskegon, as well as Combat Vets MC and Solon Township Fire and asked them for help with this random act of kindness for all four. The veterans were very happy for the company and hard work, but most of all the kindness and friendship of the whole day,” remarked Pickel. Solon Township Fire posted about their experience helping with the project on their Facebook page. “It was a great experience that we were glad to be involved with in our community. Thanks to everyone who was a part of today’s experience,” they wrote. 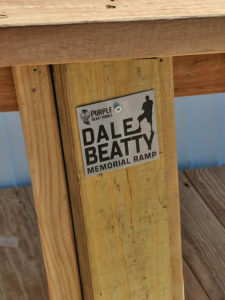 The ramp was built in memory of Dale Beatty, a founder of Purple Heart Homes and a veteran. Courtesy photo. 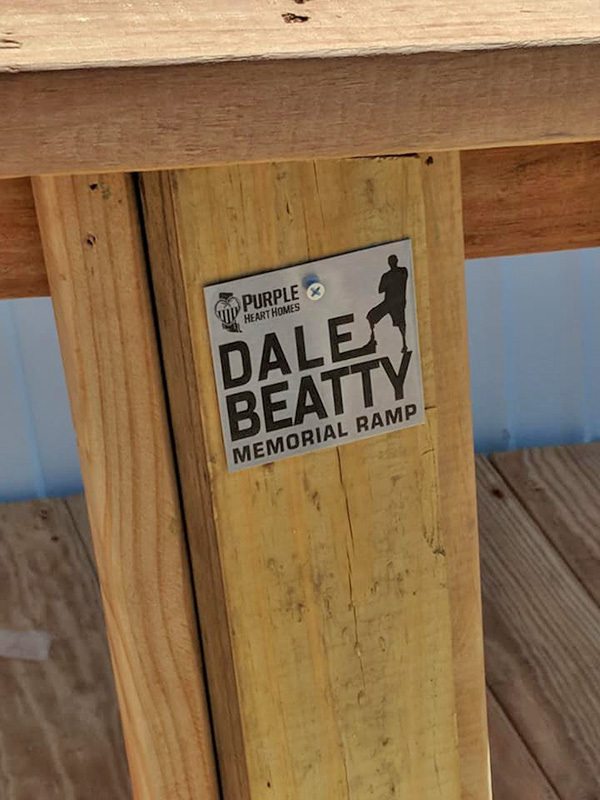 The ramp was built in memory of Dale Beatty, one of the founders of Purple Heart Homes who passed away unexpectedly on February 12. “Dale always had a huge heart for our veterans, being a double amputee from the US Army himself, and one of my good friends. So we’re doing these wheelchair ramps in his honor, something he always wanted to do,” explained Pickel. After the work was done, they held an ice cream social for everyone, and had a special cake for one of the veterans and his wife, Tom and Shirley Sharp, who celebrated their 64th anniversary July 10. To follow what they are doing, like their Facebook page at https://www.facebook.com/PHHWM/. In addition to “hearty” singing from the congregation, the Cedar Springs United Methodist Church’s choirs have been an integral part of the worship services since its beginning. Over the years the membership,the organists, and the pianists have changed, but providing harmony and teaching of the Word through music has been the focus of every choir through the years. In all forms, hymn singing became a trademark of Methodist worship. As part of the celebration for the 150 year anniversary of the Methodist Church in Cedar Springs, the Cedar Springs United Methodist Church is inviting everyone to an Old Fashioned Hymn Sing and Ice Cream Social on July 31, 2016 at 4:00 p.m. at the church located on Main and Church Streets. Come join the fellowship and fun of this community event to help celebrate the church’s Sesquicentennial. Everyone is welcome. articles are a community service for non-profit agencies only. Due to popular demand for placement in this section, we can no longer run all articles. Deadline for articles is Monday at 5 p.m. This is not guaranteed space. Articles will run as space allows. Guaranteed placement is $10, certain restrictions may apply. You now can email your Hometown Happenings to happenings@cedarspringspost.com please include name and phone number for any questions we may have. The original Methodist Episcopal Church built on the corner of Main and Church Streets in Cedar Springs. Its cornerstone was laid August 17, 1870 and the church was dedicated June 7, 1871. This newly built Methodist church cost $6000 and was the tallest building north of Grand Rapids in 1871. The spire with the bell tower could be seen for miles. The roots of religious heritage in Cedar Springs are as deep and long as the history of the people who settled it. No group or community can survive long without some common belief or religions commitment to bind them together. The Methodist Episcopal Society was organized on October 6, 1866, with Preacher in Charge, Rev Burton Smith, along with four circuit riders who served eight other outposts in the North Kent area. 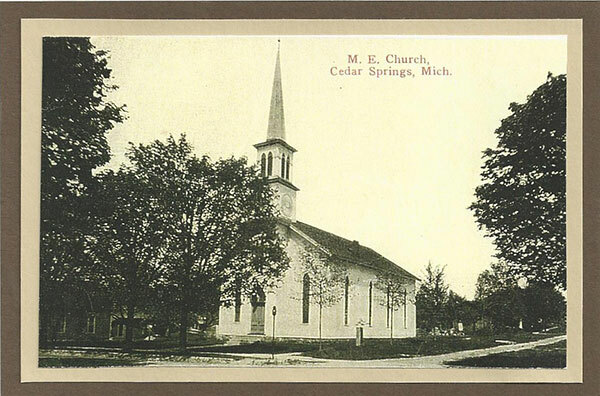 Thus, the Methodist Episcopal Church became the second organized church in Cedar Springs. 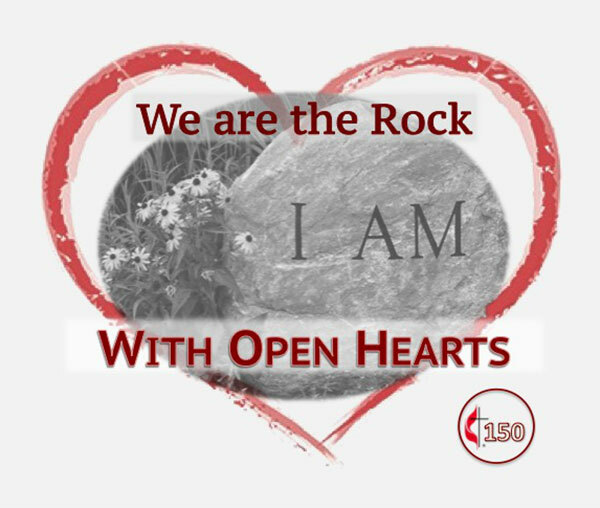 This year, 2016, marks a milestone for the Cedar Springs United Methodist Church, which will be celebrating 150 years serving Cedar Springs through Christian worship. As part of its Sesquicentennial celebration, the Cedar Springs United Methodist Church has planned the following events open to the public throughout the summer and fall. June 25 – Following a week of Vacation Bible School, there will be a Field Day held at Skinner Field with games, bounce house, and face painting. Hot dogs, chips and water will be provided. July 31 – Hymn Sing and Ice Cream Social held at the church. August 28 – Tent Revival in Morley Park, with hot dogs, chips, and water served afterward. Oct. 1 – Red Flannel Day. Parade entry of circuit rider and a horse-drawn float. Oct. 16 – Jubal Brass Concert at the CS United Methodist Church with a reception following the concert. 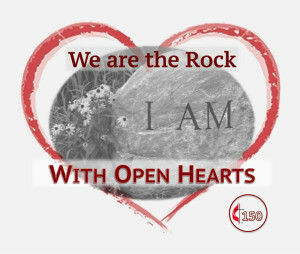 Nov. 20 – Rededication of the church cornerstone. Former pastors will be invited. A potluck will be held after the morning church service and before the ceremony.